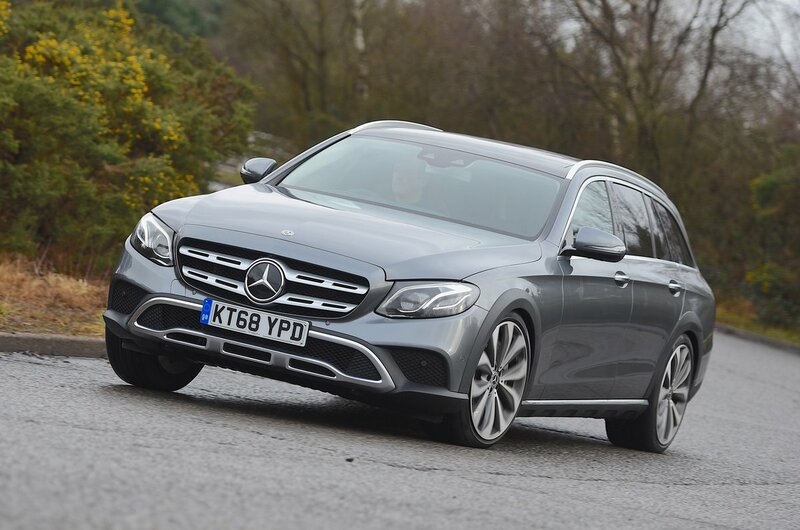 Mercedes-Benz E-Class All-Terrain Boot Space, Size, Seats | What Car? The E-Class is one of the most spacious premium estates out there and the All-Terrain makeover changes nothing in that respect. Even the tallest individuals will be comfortable up front and, while the Volvo V90 has more rear leg room, you’d never say the All-Terrain was cramped. 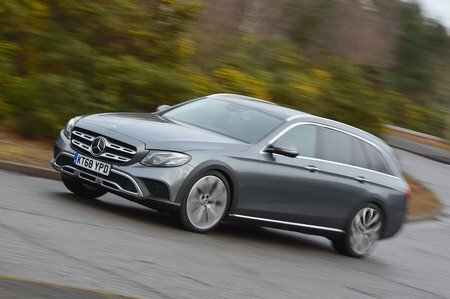 Two points worth mentioning, though: the panoramic glass roof eats into rear head room slightly and, unlike the regular E-Class Estate, there’s no option of an extra row of seats in the boot. That point aside, the boot still impresses. The standard powered tailgate automatically retracts the load cover as it opens, revealing a floor area that’s roughly 1.1m square when the rear seats are in place. 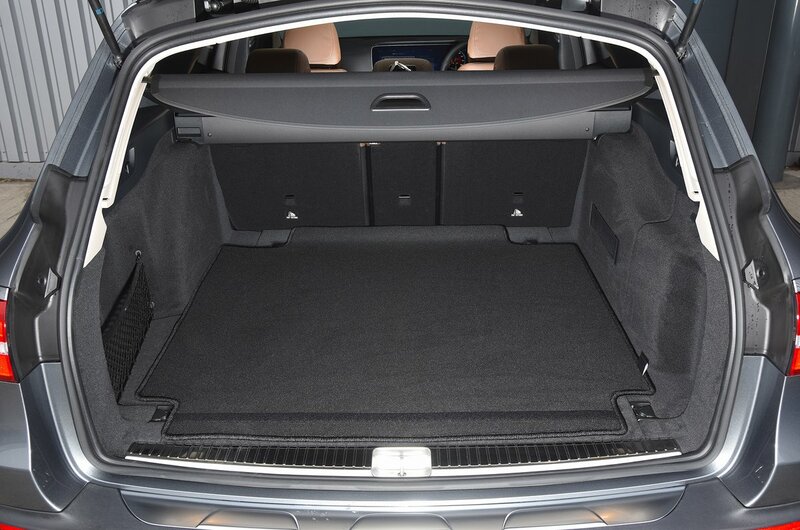 This is complimented by a separate, large storage well under the boot floor. You can tilt the rear-seat backrests forwards to maximise boot space or, if that’s still not enough, simply press convenient buttons next to the tailgate opening to drop the 40/20/40 split-folding rear seats entirely. They lie completely flat to provide a vast extended load deck. You get plenty of other storage options, too. Bigger items, such as a bottle of water, will fit in the large door bins, the glovebox will take a sizeable tin of travel sweets and there’s a big cubby in the dashboard and one under the centre armrest – both with USB ports for charging a phone. Other thoughtful touches include rubberised floor mats front and rear, although sadly there isn't one for the boot.